The first thing you’ll discover when hosting a child’s birthday party is that kids like little portions. They pile savoury and sweet all on the same plate and then leave most of it! A kid’s party is not the place for Cordon Bleu cookery! But there’s no reason why the food you offer shouldn’t have just a little bit of goodness in it. Crisps are always popular but rather than serving the salty, artificially-flavoured varieties that you can buy in shops, why not make your own vegetable crisps? Using a peeler, remove the outer skin from the vegetables and discard. Then continue peeling the vegetables into thin strips. Pat the strips as dry as possible with kitchen towel. Put a couple of inches of oil into a wok and heat to a high temperature. Drop the vegetable peelings in and cook until crisp and brown. Drain very well on kitchen towel. Vegetable crisps don’t need any salt because they’re tasty as they are. Try tossing them in paprika or chilli powder before cooking for a different flavour. Popcorn is another easy to grab and eat favourite party food. Whether your kids prefer savoury or sweet, making it yourself gives you control over the amount of salt or sugar on it. Follow the instructions on the packet to pop the corn. Pour the sauce on the corn and shake to coat it all. Leave to cool before serving. Serve in individual paper cups. 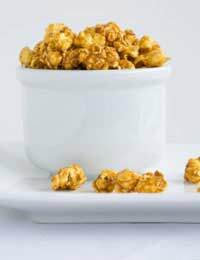 For savoury popcorn, toss in 1 oz melted butter and sprinkle with sea salt. For summer parties, make your own ice lollies with fruit juice, or make individual fruit jellies. Put 6 tablespoons of grape juice into a small saucepan and sprinkle over the gelatine. Put to one side for about 10 minutes. Put the saucepan on a low heat and allow the gelatine to melt slowly. Don’t let it boil. Gradually stir in the rest of the grape juice, making sure it’s well-combined. Wash, halve and de-seed (if necessary) the grapes. Put a few grapes into the bottom of an individual paper party bowl. Carefully pour over some of the jelly. Leave in the fridge for a while, then, when it’s just setting, top with a few more grape halves, and leave to set completely. Vary the jelly by using different fruit and juices to suit your kids. Try fizzy apple or pear juices or tropical juices with sliced bananas or oranges. Preheat the oven to 200oC, gas mark 6. Grease 2 baking sheets. Cream the margarine and sugar together until light and fluffy. Beat in the eggs. Sieve the flour and salt together into the mixture. Knead to make a smooth dough. Roll out the dough onto a lightly-floured surface. Cut into rounds. With half the rounds, using a small star cutter, if you have one, or a bottle top, cut holes out of the centre. Re-roll the bits you’ve cut out and repeat until it’s used up. Place on baking sheets and cook for 8-10 minutes until golden. Allow to cool on a wire rack and then sandwich the two halves together with raspberry jam. Or order takeaways and leave them to it! Children’s birthday parties are tiring for all concerned. If you’re worrying about preparing food for a load of kids, don’t! Go to the supermarket and stock up on snacks and goodies, and paper plates and cups. An occasional overdose of junk food won’t hurt them. It’s a day for you to celebrate as well, so enjoy it!